I'm not sure what ever prompted me to create the cartoons, The Cranberry Funnies, which were published in the Anteater (the newsletter of the Terrapin Trail Club at the University of Maryland in the mid-1970's), but I just came across them and thought it would be cool to publish them once again, for the world this time. Enjoy! 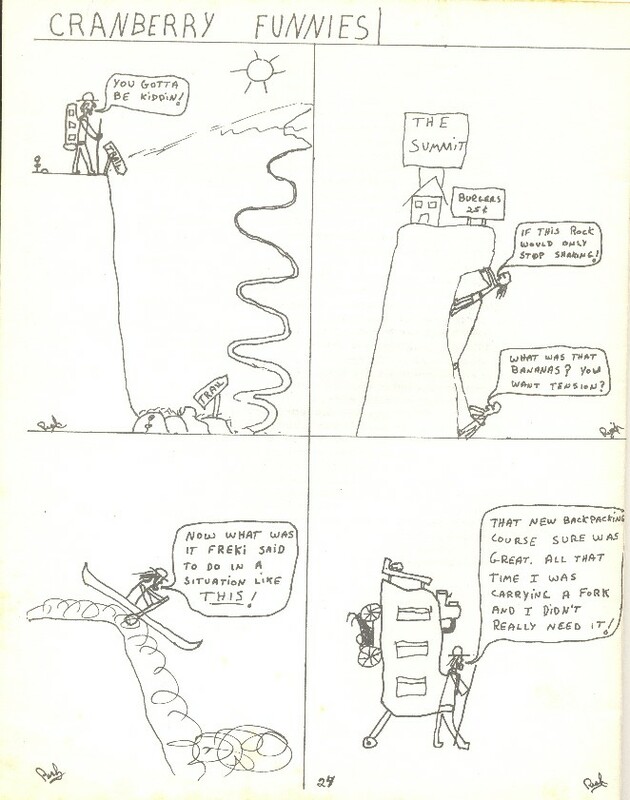 Cranberry Funnies from the January 1975 issue of the Anteater. 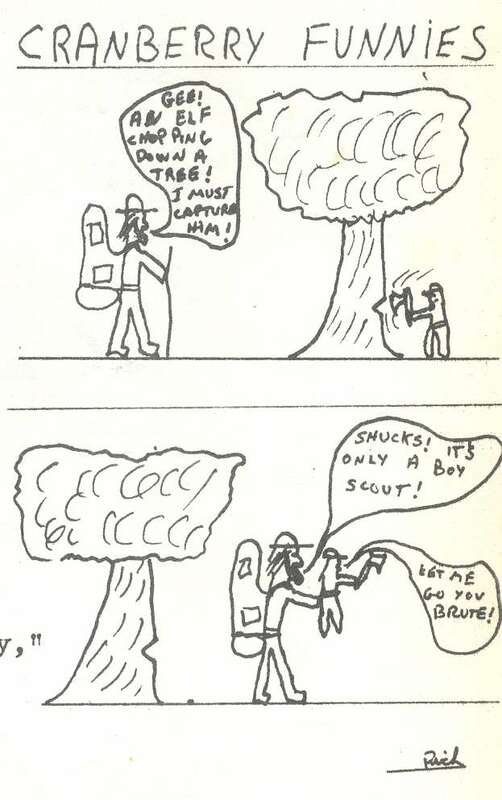 Cranberry Funnies from the October 1975 issue of the Anteater. And I guess these cover graphics below qualify as cartoons too since they definitely don't qualify as art. These were also my handiwork. 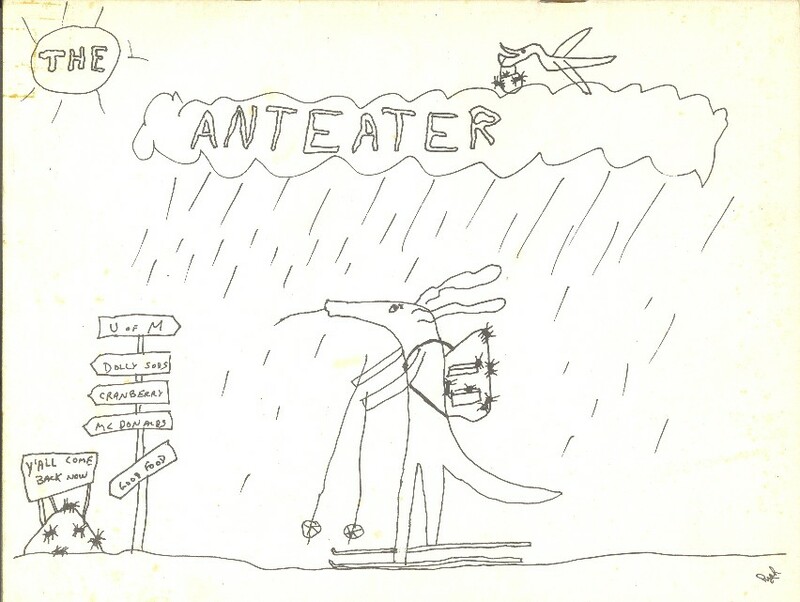 If you're curious you can read these issues of the Anteater online here on my site.